Prince Harrison Gwamnishu, a Delta-based activist, has taken to social media to share the story of how Police officers who are operatives of the Special Anti-Kidnapping Squad (SAKS) of the Delta State Command, were pursuing a Toyota Camry car they thought was owned by 'Yahoo boys' when they rammed into a tricycle. 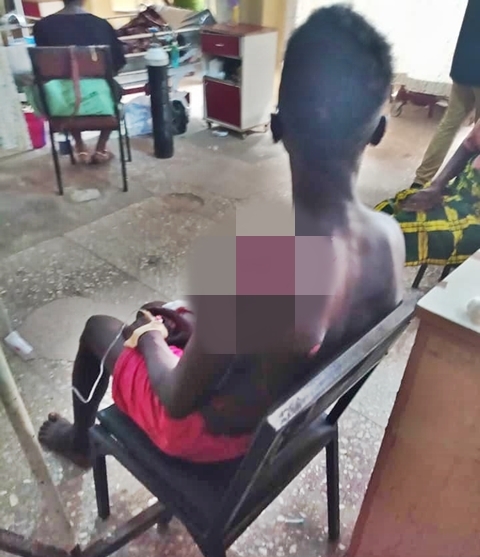 He added that the occupants of the tricycle are currently being treated at the Federal Medical Center Asaba after a police van rammed into them yesterday morning. "Some operatives of the Special Anti-Kidnapping Squad (SAKS) of the Nigerian Police Force, Delta State Command were today ridiculed after they allegedly caused an accident within GT Bank Asaba while chasing a Toyota Camry car they mistook for YAHOO BOY. 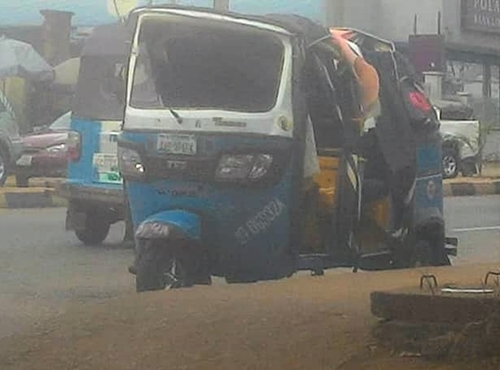 The tricycle rider and the four passengers are currently admitted at Federal Medical Center Asaba receiving treatment. A concerned Nigerian reach out to Behind Bars Rights Defenders and we are on ground to make sure the injured passengers are treated. The officers are here and they are taking care of the bills. I advised policemen on street duty to be professional, courteous, shun corrupt practices, be well-behaved, be attentive and know that they are constantly being observed by members of the public. #PoliceReforms"